Last week had been super busy for me with guests visiting and of course spending time with my fiancé. We did pre wedding photo shoot yesterday and it was super fun. I am so sorry I was not regular with my blog. From next week, I will update the blog regularly. I so love my readers *flying kiss*. Thank you so much for your love and support! If you remember, I did a review on Grid Solution CC Cushion Foundation. 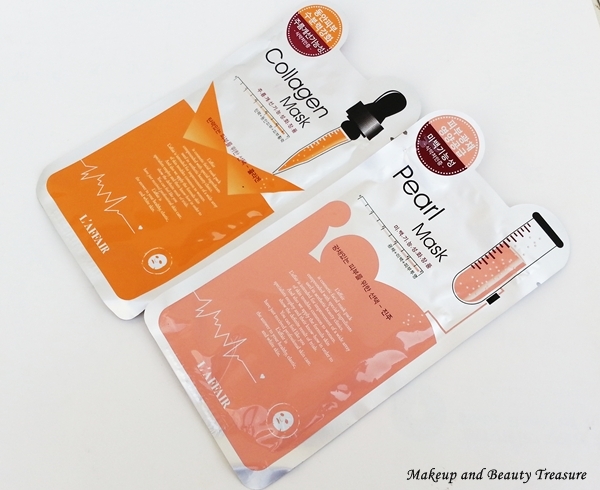 With the foundation, I got L’affair Pearl & Collagen Sheet Masks* in the package. These are priced at 1.50 pounds each and you can buy online HERE from their Facebook page. The brand has come up with 2 packages. Package 1 offers 3 sheet masks free if you buy 20 pieces whereas package 2 offers 2 free sheet masks if you buy 10 pieces! L’affair Masks come in a soft plastic case with all the information written over it. There is only one sheet mask in a pack and you can use it anywhere at any time without washing your face after application. I started off with Pearl mask. Before applying the mask, make sure you wash your face with a face wash. As soon as you tear off the packet (you won’t need to use a scissor! ), you will find a folded sheet soaked in essence or serum. The smell is very mild and heavenly. It instantly makes me feel relaxed. 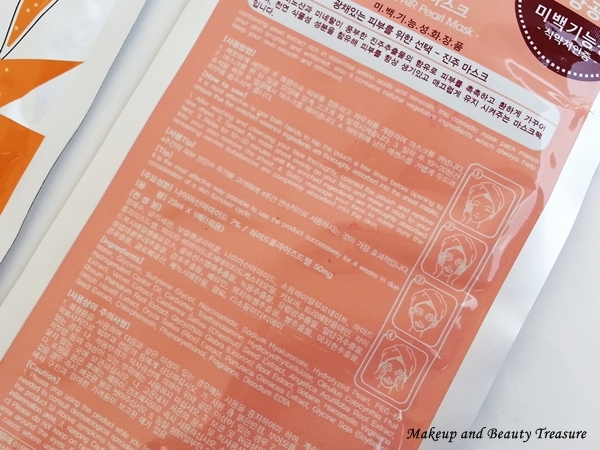 The sheet mask is quite thick yet soft and made from good quality material. It is pre cut and has the shape of face with holes for eyes and lips and a flap for nose. It feels extremely soft and adheres to my skin immediately. I love scaring my little nephew whenever I wear sheet masks but instead of getting scared he laughs at me like crazy and tries to pull off my mask #lol. The essence does not tend to drip off my skin. I let it sit on my skin for at least 10-15 minutes. 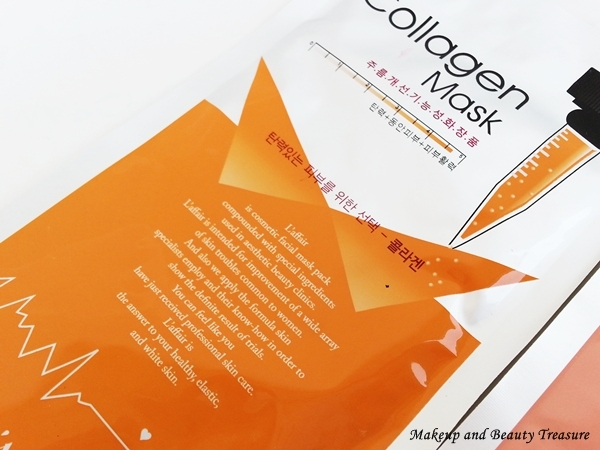 The scent instantly makes me feel relaxed at the end of day and the mask feels cool even without refrigerating. I particularly use it at night when I need to go somewhere the next day. I then remove it slowly and massage the excess essence remaining on skin lightly until it gets absorbed completely. The essence gets absorbed within few minutes and my skin looks soft and hydrated. My skin looks soft, supple and very bright the next day. I love how moisturized and healthy my skin looks without getting oily. I have oily acne prone skin and this Pearl mask did not break me out. I went ahead and tried Collagen sheet mask and the effect was pretty similar. My skin felt soft, smooth and hydrated with a lovely radiance! • The sheet masks are of good quality. • Hydrating yet not heavy on skin. • Does not contain comedogenic ingredients so they are safe even if you have acne prone skin like me. • My skin feels soft, smooth and nourished after first use. • Gives a lovely radiant look to the skin. • The essence gets absorbed quickly and does not tend to sit on the skin. • Lovely, refreshing and pleasant scent. I love sheet masks at night before I need to go somewhere. They make skin soft, smooth and hydrated. I love how glowy and healthy my skin looks after using them. 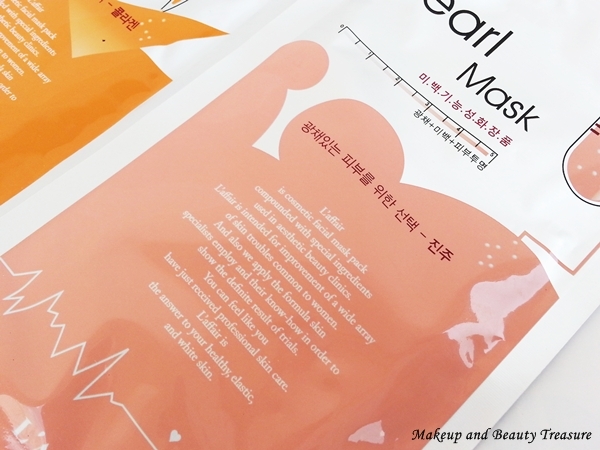 Though the results are almost same for both the masks but I love Pearl variant as it gives such a healthy glow to the skin. I would HIGHLY RECOMMEND these mask sheets to everyone! • Do not keep the face mask on your skin for more than 20 minutes. • Do not wash your face after using the mask. • You can use the extra essence for the drier parts of the skin like elbow, knees and hands. 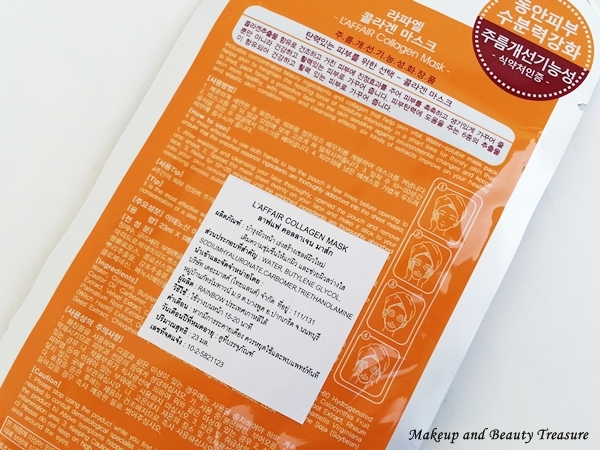 • Apply the sheet mask after cleansing your skin. Have you tried L’affair sheet masks?